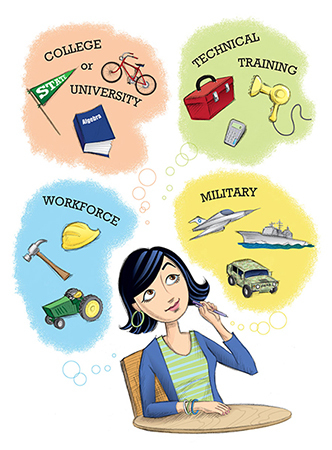 Welcome to the College and Career Readiness Resource Page! This page will provide you with the tools necessary to make you successful while you are in and out of Innovation. For each grade there are specific resources to help make you through each. Besides your CCR classes we will help you understand your options and what is best for you! 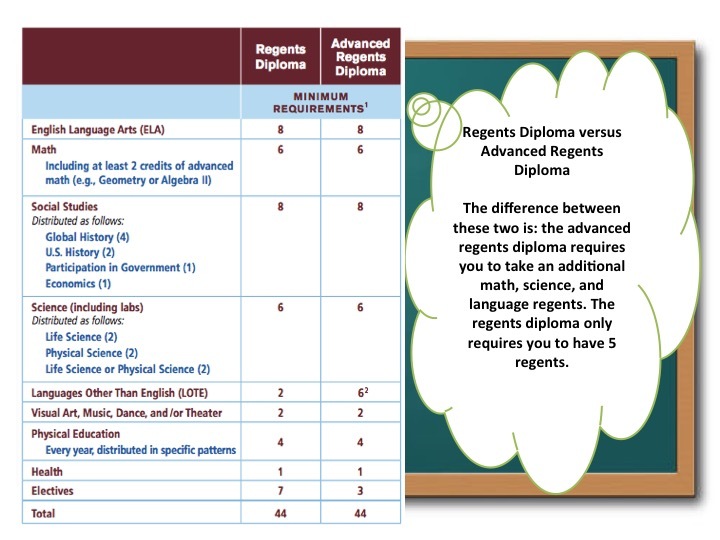 The most important term to know as a high school student is distribution requirements. Below is a useful table that shows you how many credits you need in each subject in order to graduate. 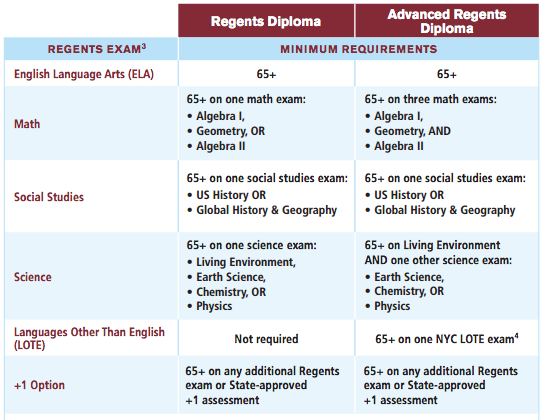 Now, take a look at the regents you must take in order to graduate successfully.